Have you ever had that totally paralyzing dream that you find yourself naked in public? You’re simply walking into class, work, or the grocery store, and suddenly you’re completely mortified when you realize everyone is staring at you and you don’t have a stitch of clothes on! Believe it or not, that same terrifying vulnerability you experience in that dream is what a lot of folks I speak with feel about social media. You probably already know that that’s a super common dream; and it’s actually a really common fear about using social media. We all hesitate a little with exposing ourselves and letting people in, but there are ways we can work with social media to share what we want, when and how we want to, without stripping down all at once. The #1 social media fear is over-thinking what to post. Start simple with just 1 or 2 platforms, and test the waters with some really innocent posts about what it’s like to be you, behind the scenes, making it happen. When working with clients, I encourage them to share their personality; the same way you might express yourself when you’re redecorating your house, or marketing your business in more traditional ways. Show your audience who you are and what you're all about. When you humanize your business or brand, people are much more likely to feel connected with you, follow you, trust you, and eventually engage with you by buying your product or seeking out your services. For starters, you are the face of your business or brand. The best way to humanize what you do for your audience, is to show them that you’re a person, that there’s a real live human behind the fancy products and services. So much of what people and businesses share on social media is personal, but it’s not necessarily private. Perhaps the #2 social media fear is that fear of exposing too much; of blurring the lines between the personal and private. You go out to eat, right? If my best friend and I go out to dinner, I may highlight and share photos of the restaurant we went to, the menu, or maybe a boomerang of us toasting a glass of wine; I wouldn't share the details of our conversations, and it’s not that I’ve shared anything at all really about 802Social and the work we do, but simply humanizing our brand with activities we enjoy. With just a few innocuous posts highlighting me, I’m humanizing my business, sharing more than you might expect about my personality, but still very little that’s private or personal. I’m a person that enjoys a night out with friends, having a good time, sharing good food, etc. Those are important aspects of my personality, but they’re not necessarily very personal. "What if I mess up?!" Social media fear #3 – messing up. I hear people say, “What if I mess up? !” all the time, to which I reply, “So what if you do!? But more importantly, what if you don't?" You won't know until you try. And honestly, it really isn’t the end of the world, it’s what humanizing your brand and business looks like. We're all human and you'll quickly learn from your mistakes. I've seen influencers in my field make mistakes all the time, and they simply own up to it and use themselves as an example. It's a great learning tool for yourself and just part of the process. If you’re still unsure, write out your post in your notes app on your phone or another location to proof before sharing it was the world. Share it with a partner or trusted friend to make sure you’re hitting the right notes. Or simply wait 24 hours, as the old adage goes, and think about what you want to post before just shooting from the hip. Social media is all about creating connections with people. Connections lead to engagement, and engagement is what builds your business. Most consumers nowadays are looking to feel connected to the people behind the brands and business they engage with, so try sharing just a little beyond the generic, and a little more about you, and see how your engagement ticks up. Tic-tac-toe. Pound sign. Number sign. Octothorpe!? The hashtag: what the heck is it really? In the beginning… way back in 1988, the hashtag as we know it was used on a platform known as Internet Relay Chat or IRC. Ever heard of that one? They were used then in much the same way they are today, for grouping messages, images, content, and videos into categories. Initially decried by Twitter as a "thing for nerds,” the use of the hashtag as a metadata tag on social networks took off like wild-fire soon after another Twitter user, Nate Ridder of San Diego, CA, started appending all his posts with the hashtag #sandiegofire, in an effort to inform people worldwide about ongoing wildfires in the area at the time. A blogger named Steve Boyd is said to have coined the word “hashtag” in a blog post around the same time, and as these things go, it didn’t take long for the hashtag to literally “break the internet,” as they say. These days, you couldn’t post, view, troll, or publish online without tripping over one! In short, #hashtags allow users to apply any number of dynamic, unique, user-generated tags establishing connections or “grouping” thematically related content, making it possible for users to easily find the content they’re interested in. I would never say the hashtag is a “thing for nerds,” not in the slightest, but that’s not to say everyone is as familiar and comfortable with their use and usefulness. “Too many” is really just subjective, but you don’t want to lose your audience in a sea of hashtags and links. Instagram only allows for 30 hashtags on any given post, and Twitter maxes out at 240 characters, regardless of how many hashtags you’ve embedded in your tweet. Facebook, Reddit, and other platforms may not use hashtags quite as universally, nor impose any limits on their use at all, but that doesn’t mean you want to fill your audiences feed with hashtags. My rule of thumb for those without a direct social media marketing strategy would be no more than 12, but generally between 1-5 hashtags per post, and to make those as compelling and relevant as possible. How about a story… A new family just moves into the area and are looking for a family-friendly ski resort to check out. Browsing through their Instagram feed on a break from unpacking, they see a great photo of a family on a ski slope. Reading on, they see the hashtags #skiday #familyfun #bestskiinginvt #sugarbushvt. One click on #sugarbushvt and suddenly they’re connected to countless images, posts, and stories about Sugarbush Resort! The hashtags the user chose were related directly to the subject matter of the photo, the location, and they’re experience. I highly recommend using location-based hashtags if you’re looking to get discovered – #hubcity #greenmountains #northeastkingdom. Still not sure? Next time you’re browsing through Instagram, click the “search” icon (the little magnifying glass at the bottom). Type a hashtag into the search bar at the top of the page and see what pops up. This will give you a lot of insight into how people and businesses are being discovered based simply on their hashtags. It can also be a good idea to search hashtags when you’re considering attaching one to your post. #twoforone may not connect your posts with exactly the content you’re thinking of for your annual holiday sale. Hashtags are like the keys to the kingdom, when used proficient and professionally, they can unlock doors to all kinds of connections and contacts. · Hashtags increase the reach of each of your Instagram and Twitter posts. · Hashtags allow you to find others people or business with similar interests. 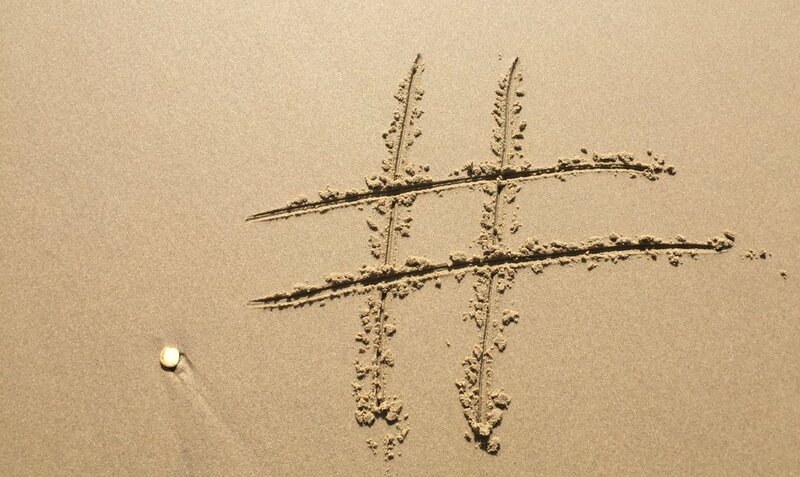 · Hashtags are a great way to express your personality and the personality of your business or organization. Start tagging! You’ll get the hang of it in no time. The Power of Your Instagram Profile: Have you reviewed these important features lately? Remember that day you finally set up an Instagram account… You had no idea what you were doing, but everyone else was doing it, and despite yourself, you got the account set up and have been reliably posting pictures ever since! But when was the last time you reviewed your profile? If you haven’t noticed, Instagram offers business users like you “Insights” into how people are interacting with your photos. Take a look at one of your photos. So long as you set yourself up with a Business Profile, you’ll see two options below the photo – “View Insights” and “Promote.” If you click “View Insights” you may be surprised to see how many people are clicking through to your profile after seeing a photo you posted. The question is: What are they finding when they get there? If you’re using Instagram for your business, the first setting you’ll want to review will be whether or not your account is set as a Business Profile. Hint: if you didn’t see those “View Insights” and “Promote” options, you’re not set up as a Business Profile. Business accounts offer a handful of must-have features for your business. Followers and visitors can get directions, call or email you with just a quick click of a button. You’re able to capture and view important data and analytics; for example, I can see the number of unique visitors that have discovered my posts, which posts are performing better than others, demographics of my followers, and much more. As a business owner promoting my work and building a community through social media, this information is absolutely essential. 1. Click on your profile image – the little circle on the bottom right of your screen. 2. On the top right corner of the next screen, click the three horizontal lines. 3. Now click “Settings” at the bottom of the screen. When you clicked on your profile image to get to your settings, did you happen to notice what your profile image is an image of? To be safe and super savvy, your profile photo should be either a photo of you or your logo. It should represent your business and be consistent across your other networks and social media accounts. Consistent branding across your social media platforms and profiles allows your fans and followers to quickly identify you, and connect with your brand and business in the same familiar way we identify and resonate with the most successful brands out there. · A brief description of services offered. · Stand out and sdd personality with a few choice emojis. · Provide a clickable link. Instagram only allows you to have one clickable link anywhere in your profile and account, and this is where it is. You can change this link as often as you like, and point followers to the link in your photo descriptions – “Check out our latest blog. Link in profile!” Provide a link to a specific blog post, your website home page, an event page, or anything else. You want people to engage with your brand and business as much as possible, so give them a way to do that with a clickable link, and make sure to keep your link relevant and up to date. * SECRET PRO TIP – There are now ways to get around the one link rule. I use LinkTree, which offer me the ability to house multiple links at once. They have a free option if you just want to poke around and see how it works. Now that you’ve created a complete and compelling first impression with your Instagram bio, get posting! Don’t forget Instagram Stories and Highlights! Click the links to find out more. Oh, and you’re curious about “IGTV?” Stay tuned…. I’ll be doing a blog on that very soon! Everyone should make sure to review your social media settings from time to time. Not only your Instagram profile and settings, but all your social media platforms. Your business evolves, and so does social media, so stay ahead of the curve and keep your profile professional and on point! It could be that I get my passion for being social from having worked 20 years in the hospitality industry before taking my social graces online. Social media wasn’t on the menu 20 years ago, but marketing and promotion have been a staple of the restaurant industry as long as there have been restaurants. I've watched the value and allure of social media marketing for restaurants increase exponentially year after year. In fact, assisting restaurants with their social media recipes is what ultimately got me to where I am today with 802Social, and a big part of what keeps me going! Social Media Served Piping Hot! There are as many social media platforms out there as there are sauce pans and skillets, but there are only a few you’ll use every day, that define how you connect with your community, and what you’re cooking up. Your restaurant’s Facebook page is veritable smorgasbord of opportunity and information. Menus, reviews, photos, videos, special events, farm to table connections, etc. Your patrons are looking for you on Facebook. It’s where they go to find out when you’re open, what you’re serving, if you accept reservations, what other people are saying about you, and they take so much away from the visit that you need to treat your online community as attentively as you treat the clientele in your dining room. Give the people a taste of what you’re all about, and help them connect with you. 1. Add a “Book Now” button if you accept reservations. 2. Showcase an exceptional food photo on the cover image. Get a professional to take a few shots. 3. Upload your menu. Highlight changes, and make sure not to let outdated menus linger without updating them. 4. Add cuisine type. People are searching by cuisine as much as anything else. 5. Describe your restaurant. Are you “kid friendly,” vegetarian, fine-dining, take-out, local beers on draft, etc. 6. Facebook reviews. Allow people to post reviews and remember to respond to them. A personal response to a reviewer's comments shows you’re engaged and that you care. Now that you’ve set the table, serve your most delectable dishes and daily specials. Create a consistent voice and engage with your audience with relevant and interesting posts that get them excited, showcase your passion, and highlight your commitment to what your sharing. 1. Incredible food photos. Most people can take a decent photo with a smart phone these days, but if your photos are coming out bland, think about hiring a professional, or tap someone on your staff with that special eye to take great pictures of your finest food creations. 2. Daily specials. Highlight what’s new and what’s special. Local asparagus for just a few weeks a year, or a seafood dish that will knock their socks off. 3. Behind the scenes. If you’re having fun, they’re having fun. Let your patrons take a peek behind the scenes; show them how much fun you’re having doing what you do. 4. Highlight your team. Let them get to know you. 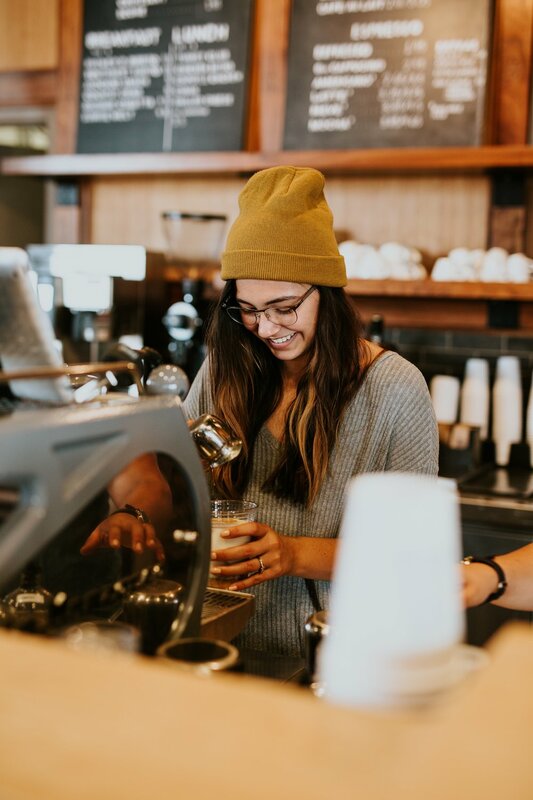 Your kitchen and waitstaff define how your customers experience your brand, so let them see who they are and how much they care. 5. Up to date news. "Due to a private event, we will be closed tonight, but are looking forward to seeing you tomorrow!” No one wants to show up and find your closed. Keep your customers in the know with news, updates, etc. I’ve already talked about photos twice with regards to Facebook, but with Instagram your photos are seriously next level marketing. Being a platform that specifically deals in images only, and as a picture is worth a thousand words, Instagram is a no-brainer for restaurants, and kitchen artistes. I don’t know about you, but I'm a sucker for seeing something delicious online and either wanting to make it myself, or much more likely, going out to get it. Instagram is not a condiment in a restaurant’s social media milieu, it is the main course. 1. Post your best photos. Pictures of your finest dishes, of your kitchen in action, your new sign, your staff party, your latest menu. Take sharp, interesting photos and showcase the energy and excitement your business thrives on, and the incredible food you’re serving. 2. Tell your story. String your photos together, add context and comments, and post stories that engage and inspire. 3. Highlights. Highlight specific stories that prominently promote and celebrate your brand. 4. Live feed. Let them eat cake! Or at least let them see you eating cake. Instagram Live lets your community come along for the ride. They’ll be coming to visit in person before you know it. 5. Geo-location. Tagging your photos and stories with geotags allows users to search and locate you from wherever you are. 6. IGTV. This is a brand new feature similar to YouTube. Up to 10 minutes of video can be loaded onto your own Instagram channel. This is a stellar idea for a cooking demo, dinner service views, and more. 7. Hashtags. Hashtags follow you everywhere. They’re like crumbs you leave behind on every plate you’ve ever enjoyed. Hashtags connect you to searches, and are a great way to highlight specifics about your establishment, #socialmediamaven, as well as your location, and other features. You’re seeing it happen all around you, it’s where your clientele is looking for ideas, posting reviews, sharing experiences, and getting to know you. Read my Blog to dig deeper into ways businesses are using Facebook and Instagram to stay connected and tell their story, and how your restaurant can benefit from getting into the game, and cooking up something special.